Multi-award nominated playwright Natasha Marshall talks about the return of her hit show, Half Breed! 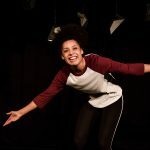 Debuting at last year’s Edinburgh Festival, Natasha Marshall’s Half Breed has sparked conversation about what it means to be of mixed heritage in Britain today and how this is viewed within society. A part autobiographical work, Marshall’s vital one woman show has received critical acclaim, picking up multiple award nominations in the process. 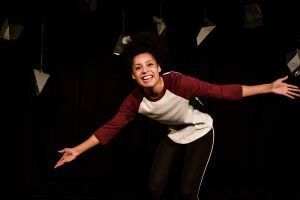 Marshall credits the show’s success to the influential Talawa Theatre Company and Soho Writer’s Lab for allowing the show to reach its full potential. Both companies are renowned for their support and championing of new writing, contributing to our contemporary canon of new voices. Read on to find out more about Marshall’s response towards the show’s success, what she’d like for audiences to take away from the show and what it was like performing the show to audiences in India!